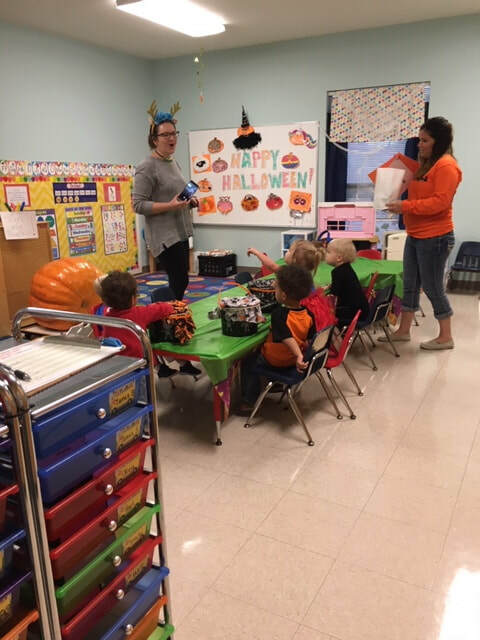 Halloween was a very active time at St. Christopher's Episcopal Preschool.Our 2 year-old class was given an enormous pumpkin for our carving activity. 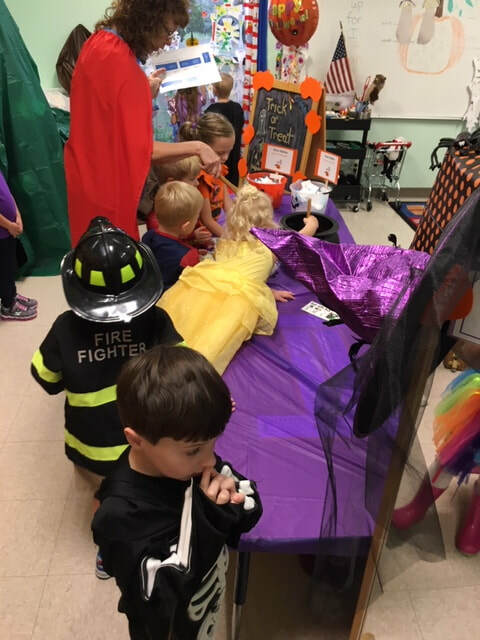 Our classrooms had a Halloween rotation and went from class to class and activity to activity. We ended with a "family" style lunch of spaghetti and lots of fellowship. What a great day!